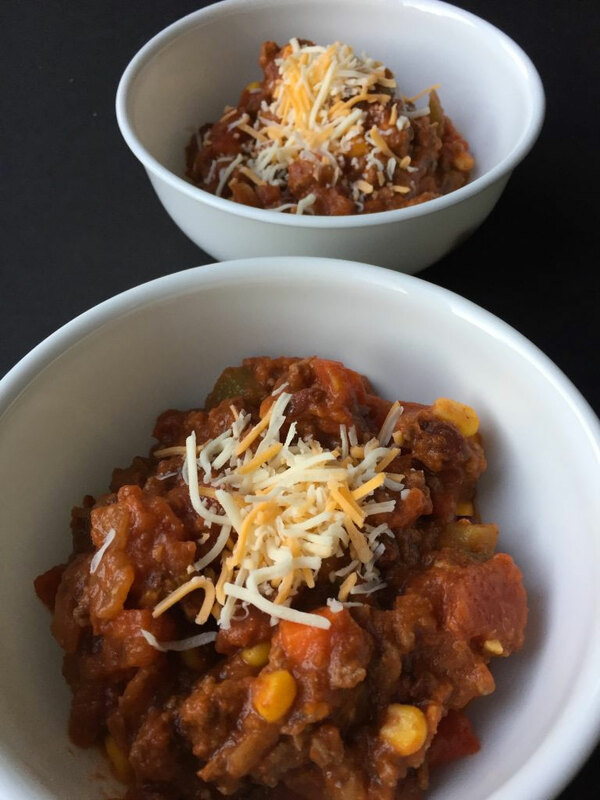 Chili is one of my favourite fall meals because it’s delicious, super comforting and heart warming, and can be thrown together in minutes. It’s also naturally gluten-free, dairy-free and can be modified to be vegan (omit the beef and add an extra can of beans) or paleo (omit the beans and corn). Plus, you only need to clean a single pot at the end, which means you will be more likely to make this dish again. This chili is also super kid-friendly (aka not too spicy) especially when served with tortilla chips, which kids love, so it’s a win-win in my book!